Within the woodcat family Auchenipteridae, there are some rather special catfish. Another thing about the family is that it, for my money, it houses the most difficult to pronounce scientific names. Once you get past Tatia, Glanidium and a couple of others then you are into real tongue twisting terrors. Fortunately, Centromochlus, pronounced, cent row mock luss, is not too tricky. Orca, however, is by contrast, simple to say. It’s a familiar scientific name thanks to its use with the well-known whale of similar markings. Black and white. It seems straightforward now, but it’s worth remembering that we have had a little bit of confusion getting to this point. 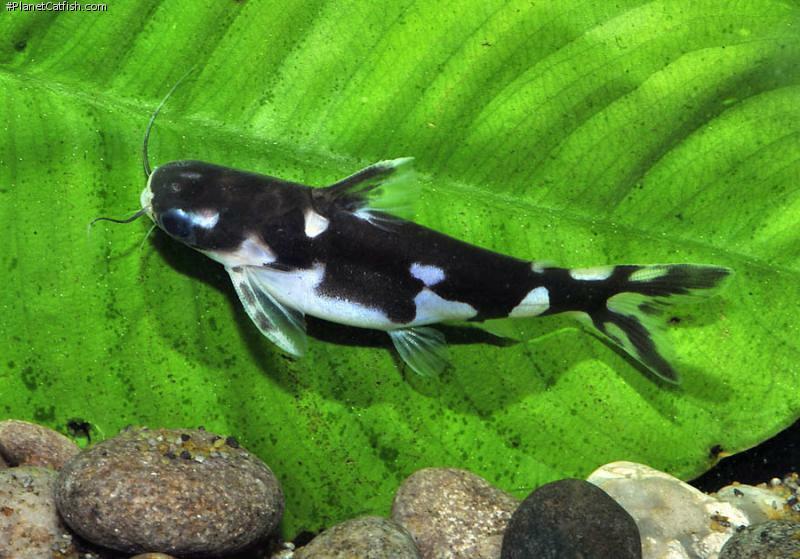 When (in 1992), Royero described Tatia musaica as a distinctive black and white smallish woodcat from the upper Orinoco aquarists didn’t really notice. A decade and a little more, first imports of a black and white woodcat appeared. Alongside, it must be said both Brazilian and Venezuelan fishes. It made sense that this Tatia sp. ”ninja” which we had been seeing for a few years was readily associated with the Royero’s species description. However, in 2017, another species was introduced. This made more sense in terms of the distribution as it had become clear in recent years that the black and white woodcat was mostly getting exported out of Brazil. The new species, Centromochlus orca, was described from the Rio Nhamundá basin, in Pará State, Brazil. The authors (Sarmento-Soares, Lazzarotto, Rapp Py-Daniel & Leitão) placed the new species in Centromochlus but noted that it was like Tatia musaica and that more generally, Tatia was paraphyletic; we can expect T. musaica and probably others to be renamed in the future. A likely resting place would be Centromochlus alongside C. orca. Identification of these two species is straightforward. C. orca has a white patch below the base of the dorsal fin spine (it also has a mottled caudal fin pattern). These features are not seen on the other species. In nature, these fishes are crepuscular insectivores. When daylight is weak, they cruise around the upper water columns mostly looking for bugs that have had the misfortune to hit the river. In the aquarium they will readily adapt to dry foods and can be brought into excellent condition feeding frozen or live foods. They are lively feeders using their barbles to track down whatever is around. The fishes’ modes of operation are, again, black and white. When not bombing around looking for food, they are inactive. They will wedge themselves into cracks, holes or crevices in wood and do nothing more. In this state, they barbles are held flat to the head and are hard to see. All small woodcats are excellent aquarium fishes, this one comes close to the top off the pile due to the striking colouration. One for any catfish enthusiast to seek out and enjoy. Type Locality Mouth of Igarapé Jamari with lago de Terra Santa, Terra Santa, rio Nhamundá basin, Pará, Brazil, 02°00'04''S, 56°31'08''W. General Remarks This fish is very similar to Tatia musaica. The two differ in distribution and also in the amount of black pigment on the body. C. orca has more white on the body and tail than T. musaica. References Neotropical Ichthyology v. 14 (no. 4), pp , Figs. 1-3, 4a, 5a, 6-9.